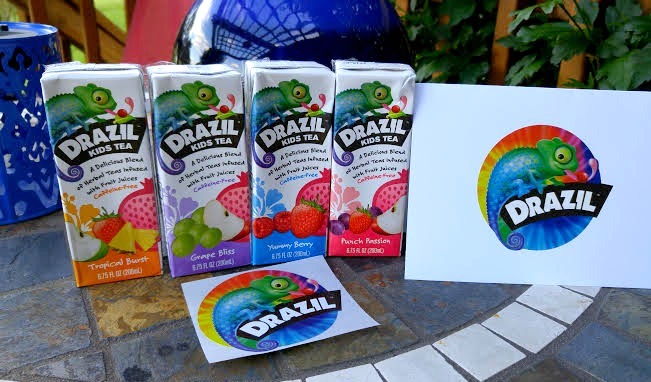 Drazil is a juicebox drink, made with all-natural fruit juice, which is blended with naturally caffeine-free herbal tea and sold at most Safeway, Target and Whole Foods nationwide. 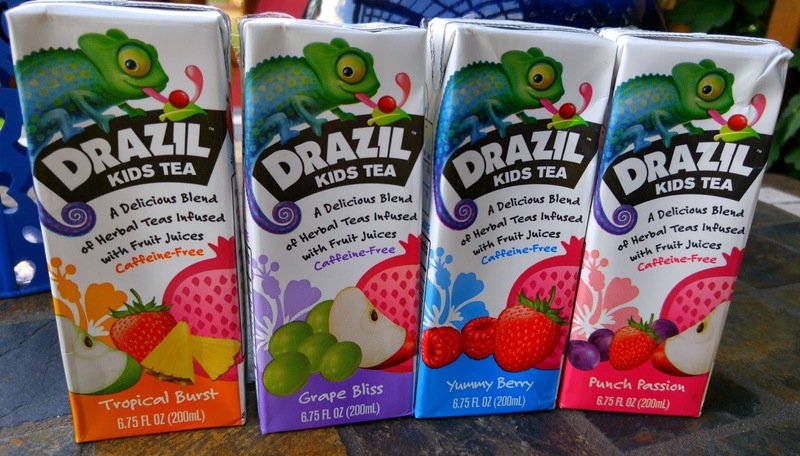 Made especially with picky kids and conscientious parents in mind, the tea-infusion makes Drazil a great source of antioxidants, while the juice provides delicious taste, plus 100% daily value of vitamin C in each serving. Plus, the individually portioned boxes are perfect for breakfast, dinner, lunchboxes, sporting events, kids’ parties and more! Today is my son's birthday! 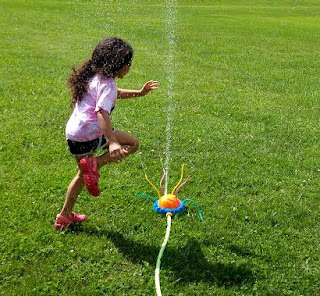 What better way to celebrate is to get outdoors with the neighborhood kids and have a picnic and some summer fun! So of course we had to have Drazil – a line of yummy, naturally caffeine-free herbal tea and real juice blends for the kids to drink. Punch Passion - A mouth-watering fusion of fruit with hints of pomegranate, strawberry and passion fruit. Grape Bliss - Packed with the natural sweetness of sun-drenched grapes for an out-of-this-world-taste. Tropical Burst - A delightfully refreshing blend of fruit with hints of pineapple and lemon. Yummy Berry - A blend of summer berries with a touch of dragon fruit for an oh-so-delicious taste. 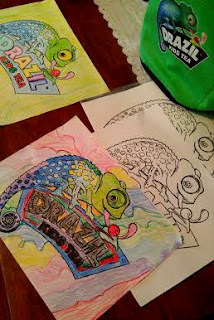 Drazil Kids Tea is a healthy blend of naturally caffeine-free teas that offer kids antioxidants, vitamins and minerals. 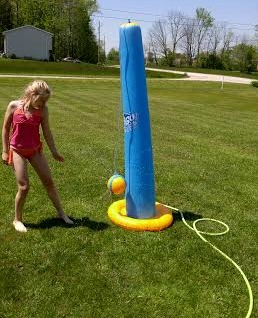 All things kids need to help their bodies grow strong. Instead of reaching for a juice box or making lemonade for the kids this summer, offer them up Drazil Kids Tea instead. Honestly my kids didn't pay attention to the "tea" part of the label and loved these boxes. Fun flavors that were perfect for summer vacation picnics and get togethers! This summer – starting June 13 – Drazil willl be kicking off a fun Summer Tea Party promotion on Facebook, where to lucky winners will win a Summer Tea Party Kit giveaway!So head on over to Facebook for your chance to win! 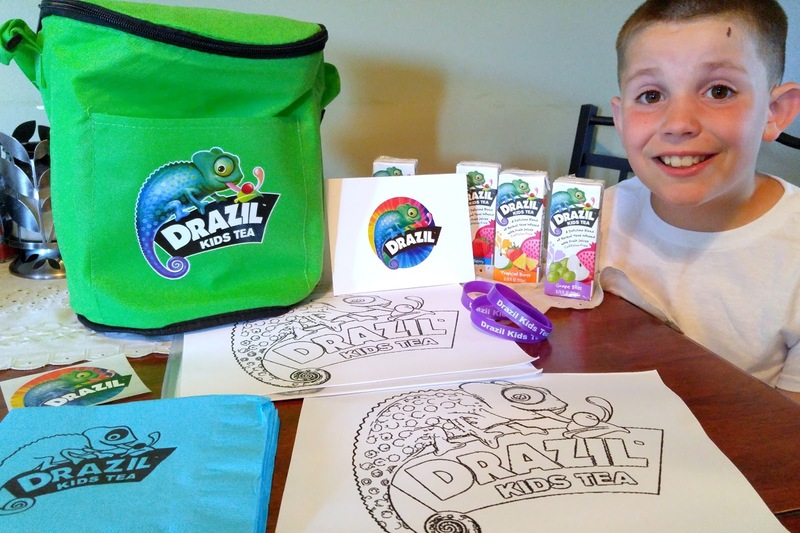 Now that summer is upon us, start your kids' summer break off right with Drazil tea+juice blends! 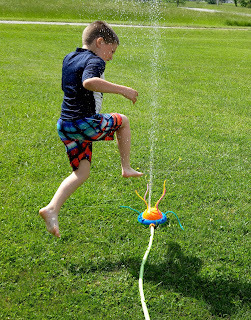 We have some super cool slush maker cups that you just add a beverage and the cup turns the drink into a slush. 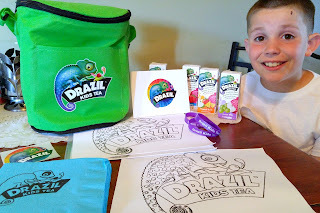 We will be enjoying Drazil slushes this summer to beat the heat!